We have put together this newcomer’s manual on how to assemble an awesome website in 30 minutes or less. 2. Pick a domain name and host. 3. Set up and personalize your website. Begin by choosing a platform for your site. This initial step is the most important one. It can be likened to a foundation for your home. If you have an unstable base, the structure will fall apart at some point. As such, if you use an imperfect framework, it will negatively impact how your site runs. Fortunately, making a completely functional, personalized website is something anyone can do. There is a multitude of CMS (content management system) options to pick from. Be mindful that, to use many systems, you need to have a general understanding of coding languages. Don’t worry, though – WordPress is your best friend in this regard. Besides WordPress, Joomla and Drupal are also popular platforms used by many people. Last year, WordPress the CMS used by half of users. Only 7% used Joomla, and 18% of them used Drupal. WordPress is the go-to platform for those who want to publish a blog or website. What makes WordPress more user-friendly than other CMS platforms, like Nethouse, Wix, Jimdo, and others? It all comes down to the features offered by each CMS. WordPress is multi-functional and comes with many benefits. The platform accommodates the user no matter how strong their programming experience is. Here are some reasons why site creators rely on WordPress more than any other CMS. 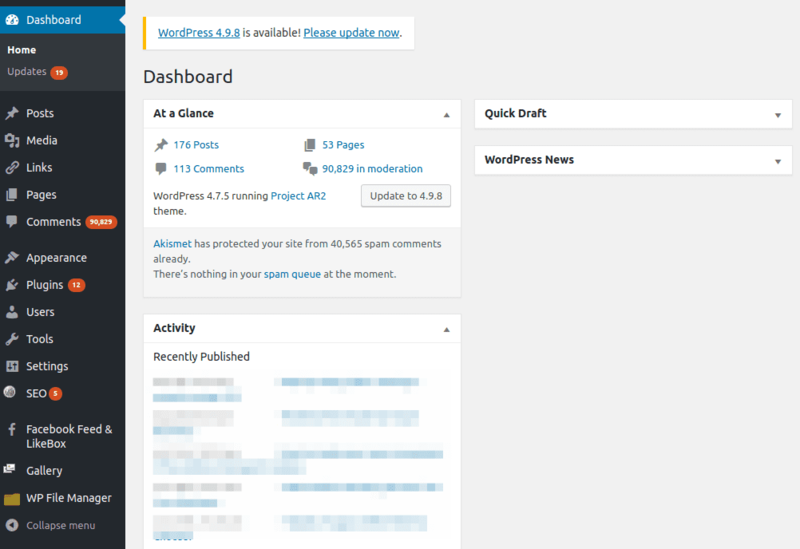 Maybe the most favored aspect about WordPress is that it’s free to download and install it. Also, the design community behind WordPress does a wonderful job making themes that accommodate everyone’s tastes. When filling your site with content, all you need is some fundamental word processing skills. By adding various plugins, you can give the site your own style. For instance, you can make a single-page site, or you can replicate the look of your favorite social network. You can also add subscription forms, picture galleries, video feeds, and anything else you desire. If you are building a blog, a simple landing page, or an eCommerce site, WordPress can make it happen! WordPress is used by more people than you think – some WordPress sites are run by large corporations, while others are created and run by sole proprietors. No matter who the user is, WordPress simplifies the web creation and publishing aspect for them all. Take comfort in knowing that your website will look fantastic and run effortlessly on computers, tablets, and mobile phones! No need to hire a web designer to accommodate your site for all screens – WordPress will do that for you. WordPress is relied upon by millions of users with various backgrounds, such as web designers, developers, and those outside of the tech industry. Such users talk about numerous elements of CMS use and discuss their experiences with everyone. As such, getting help when you need it from someone is a cinch. Further, you can prosper from complementary materials accessible on WordPress’ user support forum and YouTube channel. To keep things fair, let’s assess other frameworks and builders that have established a strong reputation online. For the most part, Drupal is used by tech-savvy individuals, like coders and web developers. Since it warrants industry-specific skills and terminology, it’s not beginner-friendly. On the other hand, Joomla is similar to WordPress with regards to being user-friendly. That said, you need to have some fundamental coding skills to figure out how to use this CMS. Second Task: Pick a Domain Name and Host. Developing your website is not all you need to do. You must find a host so that people can visit your site. To achieve this, you need to select a domain name and host provider. Similar to a zip code for a home, a domain name informs people how to find you online. A host can display your website on the internet by storing your data on its servers. A host and a domain name are the essential factors for a website. On average, you can expect to pay $10/month for web hosting and $10/year for your domain. We encourage you to use your domain instead of someone else’s. Several bucks a month is a fair price to have your website look professional and trustworthy. Also, ownership of your domain bypasses exposure to uncontrollable risks (poor broadband connection, outdated servers, and the like). How do I Get a Decent Host and Domain Name? Ensure you only deal with established, reputable organizations. For instance, Bluehost is a reliable domain registrar and web host. Their basic plan includes a domain name and hosting plan for about $3/month. Be sure to have a look at other hosts to contrast prices. Whatever host you end up going with, it should have the resources you’ll need for optimal performance of your WordPress website. A customized email address (one containing the name of your website after the @ symbol) is worthwhile to have for professionalism. You can keep using your existing email, but for business purposes, you’ll have more credibility when your email is an extension of your domain. What Domain Should I Go With? How would you describe your project or company? Come up with up to 10 words that articulate it. These words can entail nouns, verbs, substantives, or adjectives. Split up the words into their own categories, add some prefixes, come up with variations, and abbreviate them. Modify and alter the words until some of them sound like potential domain names. Your domain name will be set in stone. It will remain with you as long as your website is active. Ensure the domain name you choose sets your website apart from your competition. A generic name won’t send traffic to your site. What’s the purpose of organizing a project if no one is there to see the fruits of your labor? Refrain from using domain names that are altered variations of current website names, like plural words, hyphenated words, or misspelled words. Although there are plenty of TLDs (letters after the last dot), only a handful of them can make your site one worth remembering and alluring for visitors. Always to go with a .com domain. Other sought-after TLDs are .net and .org domains. On the other hand, you might wish to use a TLD based on the country you reside in, like .ca for Canada, or .it for Italy. These days, many users visit websites by Googling relevant keywords to get there (rather than manually typing out the whole domain name). Regardless, your domain name needs to be simple to write and pronounce. Refrain from using long words that might undermine your marketing endeavors and confuse your audience. Simple mistakes can deter a user. A unique, memorable name ensures that your audience will easily find your site online, or mention it to others. The last thing you want is someone wanting to visit your site, but failing to remember what it’s called! A short domain name is a key tool your project can prosper from. A brief address looks more aesthetically pleasing on promotional materials and search engine result pages. After you’ve selected the proper domain for your online project, ensure you can use it. It would be a shame to settle on a domain name only to learn that someone else owns it, especially if you’ve already created a marketing plan and developed promotional material. By using WHOIS or GODADDY first to see if the domain is available, you can bypass potential legal issues down the road. Even a minor aspect like a number or hyphen can crush a great domain name. The use of numbers and hyphens will only make your web address harder to remember and type in. Once your site has a hosting provider and web address, you’ve got the hardest steps out of the way. You’ll need to install WordPress to your domain first so that your site can go live. We’ll tell you about a couple of approaches to WordPress installation, the hard one and the simple one. The choice of which method to is are your prerogative. For those new to all of this, all major hosting providers have a One-Click Installer for their content management systems, including WordPress. It simplifies the process of installation and configuration. If you’re using a reputable host, such as Bluehost, click on the WordPress icon in the control panel. You’re done! After the installation is complete, get ready to familiarize yourself with the new website you created! How Do I Select the Proper Theme? After your domain name is registered, a hosting plan is chosen, and WordPress is installed, you’re ready to find a theme for your new site. Find a theme that makes your site look visually alluring while being user-friendly. You might be inclined to replicate the look of someone else’s site. Refrain from doing so. Having an amateur site with a look of your own is better than copying someone else’s ideas. Visitors to your site will judge you accordingly. A clean, simple approach is taken with the look of this site. You may wish to add a more contemporary, dynamic feel to your own. Knowing that each user wants their site to stand apart from the rest, WordPress provides a vast array of mesmerizing themes that will make your website easy to navigate through. Though it may come across as daunting, it’ll become more familiar the more you use it. WordPress offers over 1,000 free themes for users, ideal for newcomers who don’t have a budget to spend. To comb through their assortment, click Appearance > Themes on the sidebar. If your website warrants more than a free theme provides, think about paying for a premium theme. Such themes have more dependable coding. Also, you’ll get priority customer support from a developer if you buy their theme. If you have issues personalizing or installing the theme, a WordPress consultant can try to assist you. Finally, premium themes usually come with more features than free themes do. They also usually look more attractive and professional. If you’ve decided to shell out a few bucks for a premium theme, don’t spend your money haphazardly. Try out a free theme first to understand how WordPress works. Once you have a general idea of how your site will look, type in keywords in the themes section that are relevant to your project. Use the filter to weed out irrelevant themes. Choose an adaptive theme that comes across well on phones, tablets, and computers. Device-friendly themes are called “responsive themes,” and you should look for one that looks professional and is easy to navigate. Anyone can install a WordPress theme. Begin by clicking Install, then Activate once you find a theme you like. NOTE: if you find another theme you fancy after you’ve installed one, worry not. Your content (pictures, wording, menus, etc.) won’t be affected when you replace one theme with another. 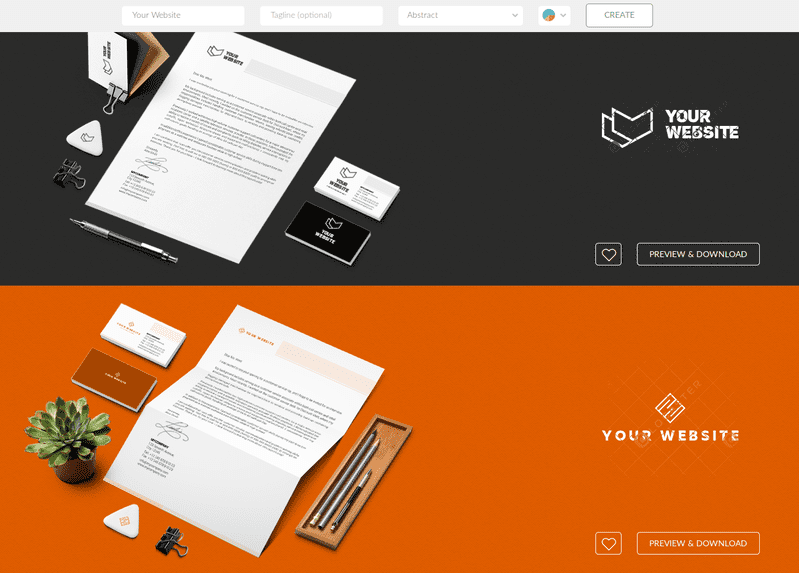 When you publish a blog or website, your project usually needs a logo to go with it (How to create a logo for website read here). You can use Photoshop to design your logo if you’re familiar with the software. If you want to use a more user-friendly program, you can use a free online logo creator like Logaster. Type in your blog or website’s name and choose the field you’re in from the drop-down menu. Logaster will automatically produce potential logos for you to choose from. When you find a suitable logo, download it as is, or alter it directly online. You can save your logo in JPG, SVG, or PNG format. Logo making websites empower everyday people with creativity they might otherwise be lacking! In addition to mesmerizing fonts and icons at your disposal, Logaster comes with user-friendly editing tools. Although the program will give you plenty of choices to pick from, ultimately, you’re the one who should determine the final look of the logo. You may wish to alter the font, color, text, or other aspects until you’re keen on what you’ve put together. If you are not open to leaving your logo in the hands of an algorithm, think about hiring a designer to make one for you. Although rates differ per designer, high-end design studios and professional freelance designers do charge costly fees for their time. If you believe they can help you, be sure to get your money’s worth. If not, stick with a reliable logo making program online. To stimulate your creativity, have a look at these stunning logos. After your site has a new design, it’s time to add some content to it. • On the sidebar, select Pages > Add New. • You’ll see a platform open up in a new window that resembles Microsoft Word. Create your page by adding pictures, wording, and anything else you like. Don’t forget to save your work. • On the sidebar, select Appearance > Menus. If you wish to publish a blog, have a look at the “Posts” section. To convert your website into a blog, you’ll first need to make a category (it can be named anything you want). 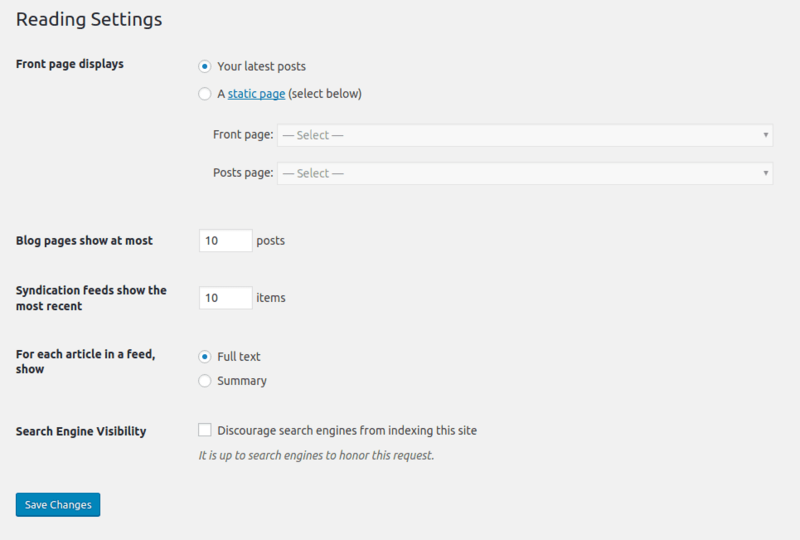 You can begin writing posts after you add that category to the menu. • Select Posts > Categories to make a new category. • Select Posts > Add New to make a new post. Write something and categorize the post. For a website to be successful, page titles are important. By viewing the page title, a visitor should be able to determine what type of content you’re producing. Further, page titles heavily influence your ranking on search engines. Your efforts determine where each page ranks, for better or worse. Integrate keywords into page titles and make it sound reader-friendly. Ensure that your pages don’t have duplicate titles. 1. Click Screen Options after creating a new page. 2. 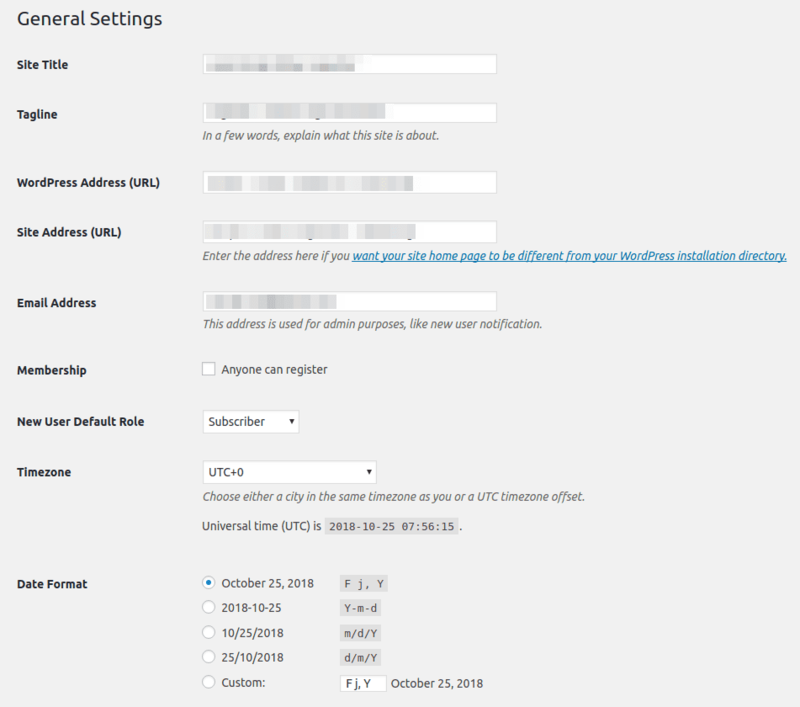 Click Discussion and tick the Allow Comments checkbox. 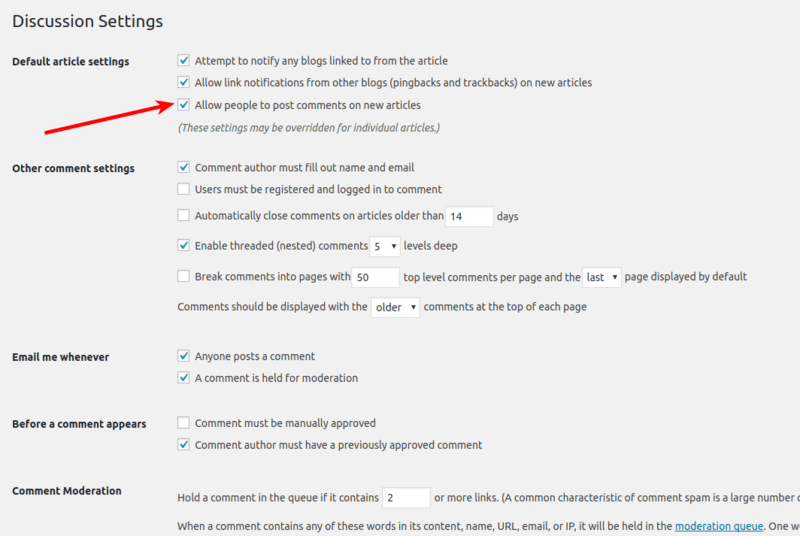 You can select Settings > Discussion and remove the tick in the Allow Comments on New Articles box if you want to prevent visitors from leaving comments on all of your content. Those who visit your blog will notice the most recent posts on your home page. It’s a practical approach to show your readers the newest content you’ve published. You can also go with a static front page that always looks the same. Based on your preferences, a static page can showcase key details about your project, or perhaps a welcoming message of some sort. 1. Select Settings > Reading. 2. Select the new static page you created. Your “Posts Page” is your blog’s main page, and your “Front Page” is your site’s home page. How Can My Sidebar Be Customized? Generally located on your website’s right side, a sidebar is a panel with widgets that run features your site. 1. On your sidebar, select Appearance > Widgets. 2. Add useful widgets by dragging them to a vacated widget box (or delete the ones you don’t want). Although your WordPress site has an adaptable, multi-purpose framework, its core programming doesn’t come with intermediate functions like search options and custom post-types, among others. Plugins customize and upgrade your WordPress site to make it user-friendly, functional, and quick to load. By filling your site with essential plugins, you can make a photo gallery, eCommerce shop, personal blog, or whatever you want! WordPress provides over 20,000 plugs to use, and you won’t have to pay for them, either (some come with premium features, but they’re not mandatory). Simply click the “Install” button when you see a plugin of interest. Here is a list of plugins that I believe are important for all websites (each one should be compatible with most WordPress themes). • Contact form 7 stimulates user engagement and tells the visitor that their opinions are valuable. Through the use of a succinct contact form, users can make queries, recommendations, and give you input without leaving the site. • Yoast SEO is essential for site owners who wish to enhance their SEO game and establish trust with search engines. You can easily alter titles, tags, meta descriptions, and similar aspects of certain posts with this handy plugin. • Google Analytics has everything you need to measure user behavior and website traffic. Once this plugin is installed, connect it to your Google account. Use the data the plugin provides you with to improve your marketing approach! These plugs are essential for all WordPress websites. For more plugins worth using, click here. Now you have what you need to share helpful and engaging content with your target market. I encourage you to aim high when creating your site and choosing a domain name! In closing, I must remind you that you can create your own website using free guides and tools that simplify things for all users. You needn’t pay for expensive web designers with such resources at your disposal!